Weighty Matters: Obesity is Still not about Exercise! You need more proof that we're not going to put a dent in childhood obesity with exercise? Published ahead of print in the Archives of Diseases of Childhood is a simple study that looked at 300 children from 54 different schools in the city of Plymouth in the UK. Dr. Brad Metcalf et al. followed the children for 4 years (from the age of 5 to 8) and looked for associations between the variables of physical activity, body mass index, body fat percentage and some metabolic blood parameters. 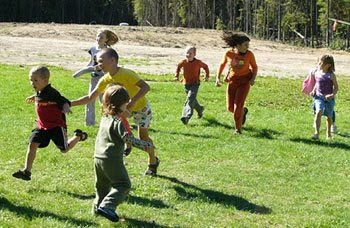 There was no association found between the amount the children exercised and their body mass indices or body-fat percentages over time despite the fact that amongst the children there was a ten fold difference in the amount of physical activity that did not in fact change over the course of the study. Despite the fact that some kids were ten times more active than their peers, their 4 year long, ten-fold increase in exercise did not help them maintain healthier body weights or body fat percentages! The exercise wasn't all for naught however as metabolic parameters were in fact better in the exercisers. I wonder how many more studies need to come out before it becomes mainstream to know that exercise as a component of obesity is minor at best?